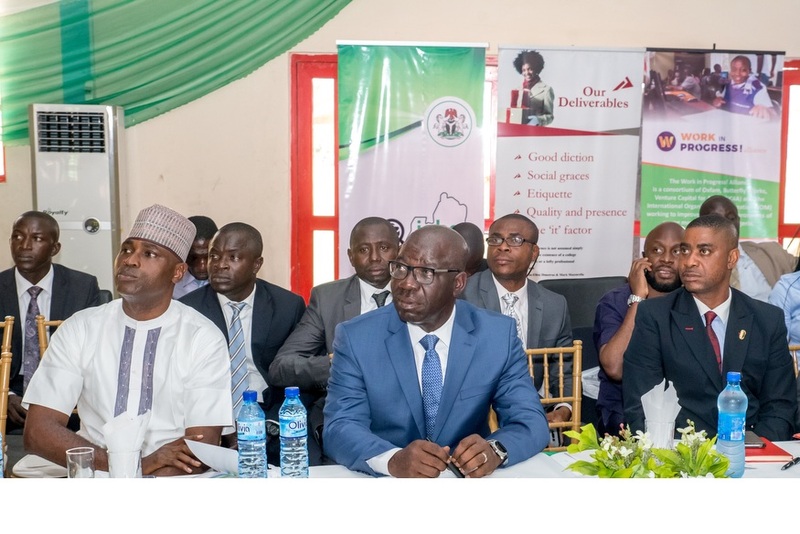 The Governor of Edo State, Mr. Godwin Obaseki, has said his administration is set to establish several job incubation centres in the state to upgrade the skills of job seekers to meet the needs of the present day labour market. Obaseki said this at the Edojobs fair organised by the state government as part of activities to mark the governor’s one-year anniversary in office, in Benin City on Wednesday. He said the job incubation centres would be located within the industrial parks/estates, which his administration is setting up in the state. “We want to create several job incubation centres/hubs, where job seekers will be trained and employed by the companies that will be located in the several industrial parks, to be established in the state. The groundbreaking of the first major industrial park in Ikpoba-Okha Local Government Area will be done on Saturday, and on completion, will house over 200 companies on a 600-hectare land,” the governor said. “We have also commenced the design of an industrial park and incubation centre on the premises of the Benin Technical College, which will house technology and data companies. The third industrial centre will be located at Ikpoba Hill area of the state and we have concluded plans to partner with the United Nations Industrial Development Organisation (UNIDO) to build a 2MW hydro plant that will produce electricity from Ikpoba River dam to power the industrial estate to be located in the area,” he explained. Obaseki said that his administration would not relent in formulating the necessary policies and programmes that would empower youths to fit into the emerging economy that his administration is creating. “We have the potential to create all we want as we have the base materials, so we have to prepare our youths to fit into these new jobs we intend to create via training,” he said. He added that his administration would also key into the emerging employment opportunies in agriculture, housing, education and health sectors to create jobs for the youths. Earlier, the Coordinator of the Edo Jobs Summit, which featured the job fair, Mrs Ukinebo Dara, described the jobs fair as a success as many companies have indicated interest to employ about 100 trainees.